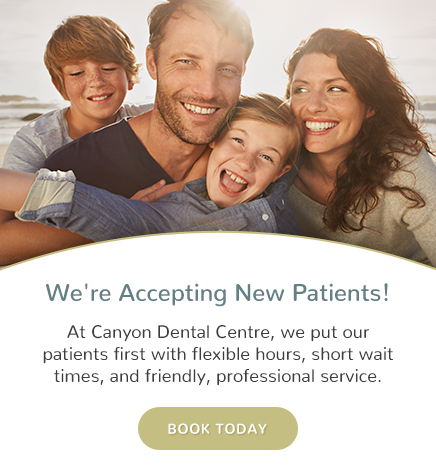 Panoramic X-rays are used at Canyon Dental Centre during overall diagnostic exams. A panoramic x-ray is an important component of your initial examination at our office. This imaging technology offers a full wrap-around picture of your entire mouth. It provides information about the teeth, upper and lower jawbone, sinuses, and other hard and soft tissues of the head and neck.